There are many ways in which faculty can extend the classroom conversation online; OAKS Discussion board, VoiceThread, and blogs to name a few. 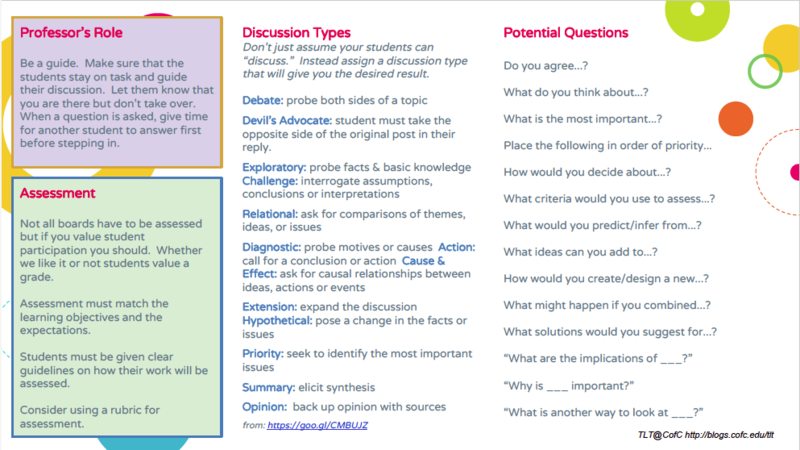 However, there is an art to getting students to actually think critically and discuss thoughtfully in an online environment. 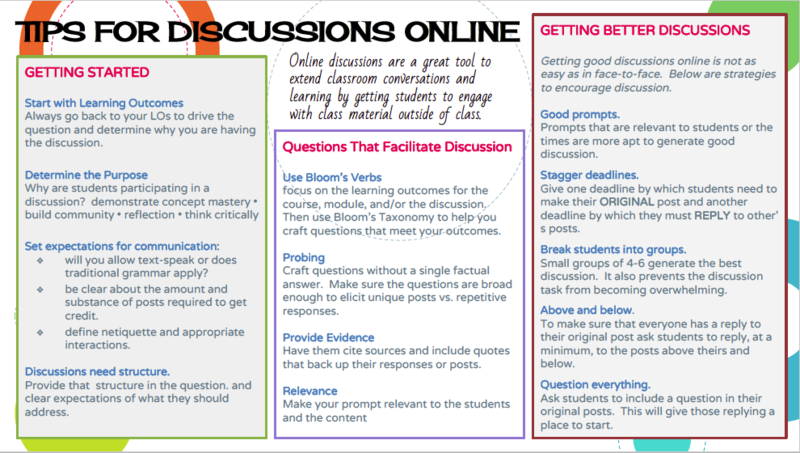 The document below outlines a few tips to help you get more out of your students in an online discussion.